Welfare to Work will oppose Question 2 on the Nov. 7 ballot, which would make about 70,000 low-income Mainers eligible for coverage. A former adviser to Gov. Paul LePage has registered a new political action committee that is being set up to campaign against a fall ballot question that seeks to expand Maine’s Medicaid system, MaineCare, under the federal Affordable Care Act. According to initial filings with the Maine Ethics Commission, Michael Hersey of Waterville will head the Welfare to Work PAC. Hersey formerly worked in LePage’s office as an adviser on economic policy. He is listed on the filing as the PAC’s principal officer, with the title of chairperson. Maine Equal Justice Partners, a nonprofit that advocates for the poor, gathered more than 67,000 signatures of registered Maine voters in 2016 to put the Medicaid expansion question on the Nov. 7 ballot. The ballot question would set an income eligibility level for individuals with income equal to or less than 133 percent of the federal poverty level. For a family of four, that would mean an income of $32,252 or less. If approved, the change could make as many as 70,000 more people eligible for the state and federally funded health care program. Currently, 19- and 20-year-olds, individuals with disabilities, the elderly and certain low-income parents qualify for MaineCare. Opponents to the measure, including LePage, say expanding the program would bankrupt the state, costing the state budget as much as $54 million a year. But supporters argue expansion would allow Maine to draw down $525 million each year in federal matching funds. The ACA, which passed in 2010, offers reimbursement rates for Medicaid expansions that taper from 100 percent to 90 percent in 2020. Since the ACA became law, the Maine Legislature has voted to expand Medicaid five times, only to see those expansions vetoed by LePage – with support from minority Republicans in the House. 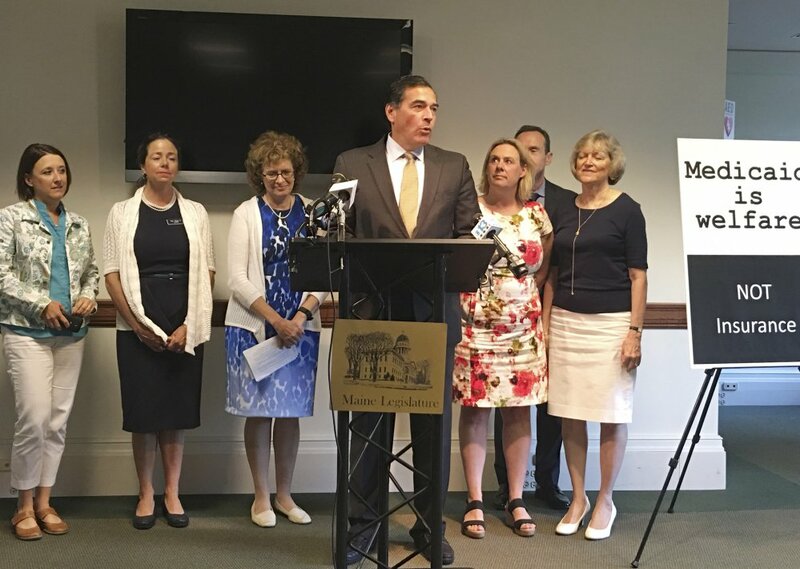 The PAC’s formation comes on the heels of a news conference this week when a group of Republican lawmakers, along with Hersey, and former Republican state Senate President Rick Bennett, also the former chairman of the Maine Republican Party, urged Secretary of State Matthew Dunlap to change the wording on the proposed ballot question. Based on its initial filing, the new PAC has not yet raised or spent any money yet. A phone message left for Hersey on Friday went unreturned.